The packaging of these products is both a positive and a negative. I love how it looks and the wooden finish with gold detailing looks and feels very premium. You also get nice big mirrors on the inside of the lids. However they are bulky to store and the magnetic closure is not very firm so I would absolutely not recommend travelling with these compacts! Let's start with the the Essential Bronzer in 201 Sienna Melange (£17.90). I actually think I meant to pick up the other shade but oh well! This is a absolutely huuuuge baked bronzer with a lovely sheen-y finish. It is very warm toned so paler skin tones may find it a bit orange however it works really nicely for me. There's no large pieces of glitter in this product and it can be applied subtly or built up into something a bit more dramatic. The texture is lovely and smooth and it actually has a very slight fragrance to it. If you've been after one of the new Hourglass bronzers but don't want to part with so much cash, this looks pretty similar to me! 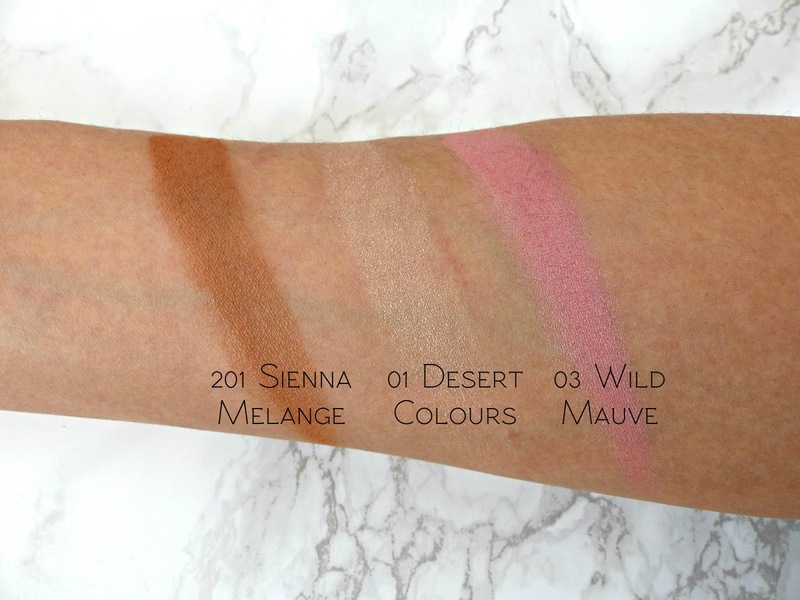 Another product for a sun-kissed look is the Sahara Glow Highlighter in 01 Desert Colours (£14.90). I actually don't own a single highlighter made up of pearls like this, but it's such a lovely, luxurious way to use a product. This comes out as a beautiful, subltle golden-champagne pearly sheen, which I think will suit a lot of different skin tones. I really love how natural and daytime-appropriate this highlighter is and it's such a pretty thing to have on your dressing table. A surprise love for me was the Tri-Bal Soul Baked Blush in 03 Wild Mauve (£14.90). I'd really wanted the earthier-toned shade but it was out of stock in London, Leeds and online! I picked up this shade but thought it may be too light and shimmery. However that wasn't the case at all, it's actually a beautiful tone. I sometimes find mauves can wash me out if they're too grey-toned, however this has a lovely vibrancy to it and is really nicely pigmented. It applies beautifully and I'm really impressed with how long this lasts. It is slightly faded but still fairly intact and not patchy by the end of the day. I really recommend this, the formula is absolutely dreamy and is effortless to work with. Finally I picked up the Modern Tribe Face Brush (£14.90), mostly because it's really gorgeous! I also have never tried a brush of this shape before. It's just so incredibly soft and it turns out I love the shape! I personally find this too large to apply blusher with but it works amazingly well for both the highlighter when I swirl it around in the pot and apply with the flat part of the brush. It's also gorgeous for applying the bronzer to the outer parameters of the face, with the tip fitting neatly into my cheekbones. It picks up a good amount of product though so I am a little careful not to get too carried away with the bronzer! Have you checked out the Modern Tribes Collection? Which pieces do you have your eye on? This collection looks so gorgeous! I've only got a few bits and pieces from Kiko but they are such good quality and such a good price I definitely want more! I didn't notice the brushes last time I was in the shop or I'm sure I would have picked some up! Those little highlighting pearls look stunning! A dazzling collection. 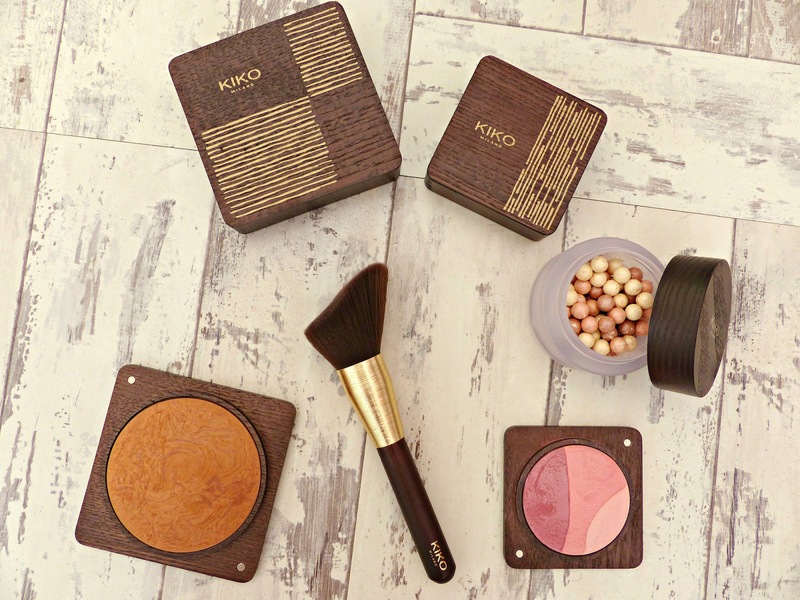 I've been so impressed with the few Kiko products that I do have - all of which I received in a swap with Gyudy. I didn't get anything from this collection but you're right, the packaging is very pretty if not practical. Love the Wild Mauve blush! 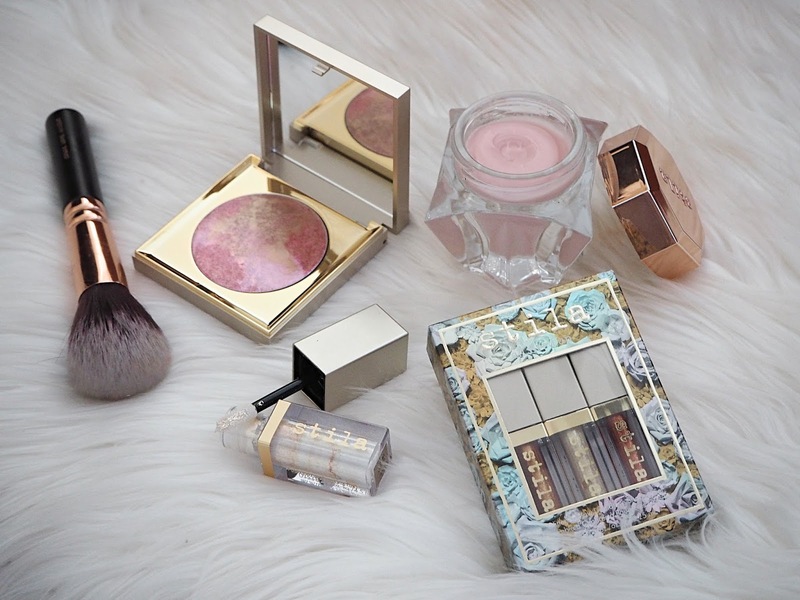 It all looks so pretty, KIKO is definitely a brand I need to try! I only discovered you today but I already am in love with your blog. 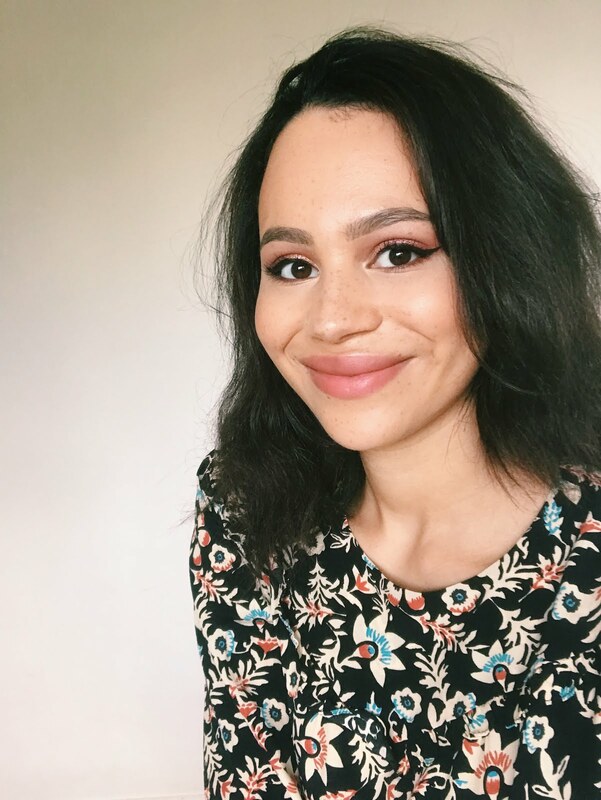 Your pictures are so lovely! I still haven't tried Kiko. Shame on me! bad bad beauty blogger! hehe. I keep meaning to haul from them, but then "grown up" stuff happens. I was planning a big haul this month, and now I have to spend 1300£ on the dentist instead *shaking my head*... maybe next year hehe, I'm diggin' the packaging on this Collection. They are all so beautiful. I just love the packaging!! I LOVE this collection!!!! The packaging is amazing and the products look incredible. The blush is such a lovely soft colour for summer! Brenda BusyBee | ONE YEAR BLOGIVERSARY GIVEAWAY! WIN AN URBAN DECAY NAKED PALETTE & MAC LIPSTICK OF YOUR CHOICE! That blush is just gorgeous, I regret not picking it up on our shopping trip but I just don't have the space for that bulky packaging at the moment! I'm so impressed with Kiko as a whole though, I'm yet to really be disappointed by anything (besides their mascaras which I just didn't get along with)! Love the packaging even though it looks bulky but so nice.